Pivot Charts are great for giving an at a glance visual representation of your data. And Pivot Tables are what you need if you want to see your data in detail. 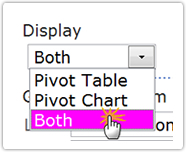 With PivotPoint you don’t need to make a choice between the two. 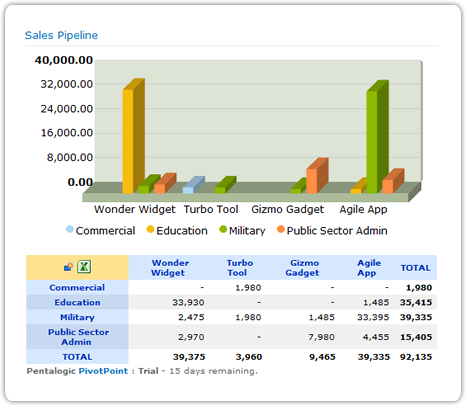 If you want you can display your data as a Pivot Chart and a Pivot Table on the same SharePoint page. So you have both the overview and the detail at our fingertips.